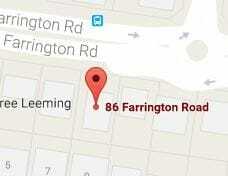 The clinic has been established in Leeming, with plenty of off street parking available. We have three consultation rooms, a meditation room and meeting room. The clinic provides a very private, relaxed and peaceful environment for all our clients. The clinic has incorporated cutting edge technology to assist in the analysis of disease processes, our new BioAcoustic Vocal profiling has the most amazing programs to potentially assist in a number of health issues. Stephanie has been a pioneer in the advancement of Behavioural Biology, Health and cutting edge technology. Passionate about Brain optimisation and Behavioural Therapy, provides Bio feedback and Neurofeedback in analysis and therapy. We welcome your enquiries, and would be delighted to assist you in understanding how we can help.